Tennis star Serena Williams introduced the world to her newborn daughter, and revealed her name, on Wednesday morning with posts on her various social media accounts. Named Alexis Olympia Ohanian Jr., after her father and Reddit co-founder Alexis Ohanian, she was born on Sept. 1 and reportedly weighed in at 6 pounds, 14 ounces. Williams, 35, said on the video "we had a lot of complications, but look what we've got." She did not offer further details. A video with clips of the pregnancy and from the hospital after delivery was made available on YouTube and in an Instagram story. 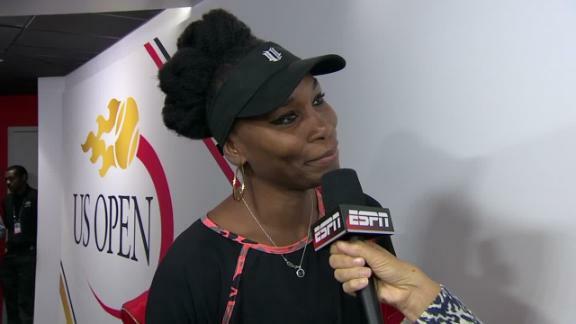 The 23-time Grand Slam champion announced she was pregnant in a Snapchat post in April. She later revealed she had been eight weeks pregnant during the Australian Open, where she won the singles title, her 23rd major singles title. She missed the remainder of the season, but has said she would like to come back to the sport in 2018.